EnzoCasino operates under Game Tech Group N.V. Casinos with a Curacao license. Among the online casino’s special features is its customer service. It has email support, a hotline, and a 24/7 live chat service. You will find that a lot of players give positive feedback about the gaming hub’s support staff. On the other hand, not everyone is welcome to sign up with this betting site. Some countries like the US, Saudi Arabia, and Canada prohibit their residents from creating an account with EnzoCasino. Meanwhile, it is your responsibility to know if your country’s laws allow you to be a member of this casino. 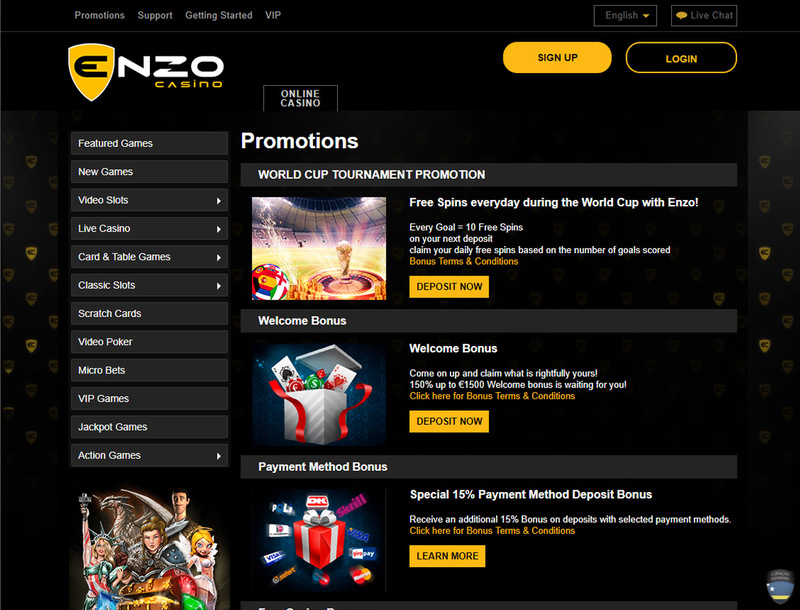 If you find it is legal for you to register as an EnzoCasino player, then read on to know if this betting portal is worthy of your time and bets. When you make your first deposit of not more than €1,500 into your EnzoCasino account, a welcome bonus of 150% will be waiting for you. 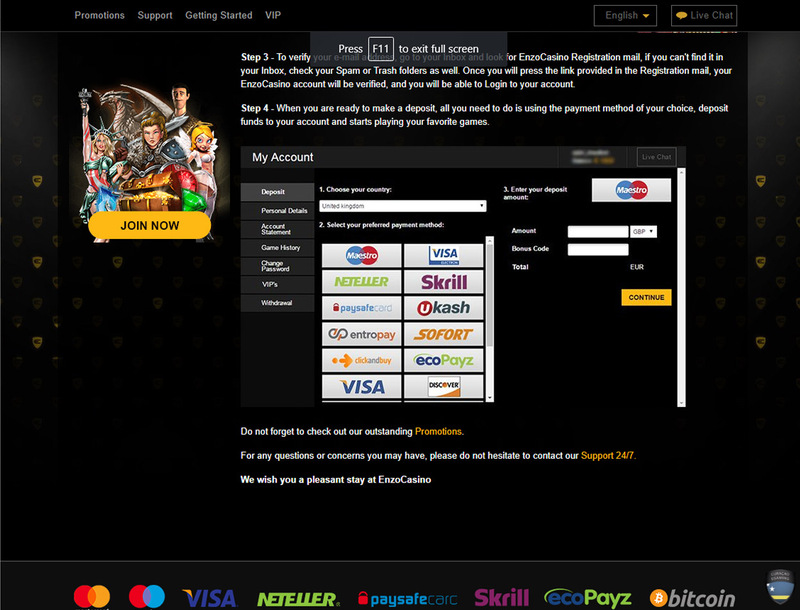 To withdraw the wins you get using the bonus, you have to play the bonus and the deposit amounts 33 times. This bonus applies to the deposits you make using certain payment methods. When you use Ukash, Skrill, and Giropay, among others, you will get a 15% bonus upon your first deposit. Just make sure that your deposit is at least €20 but not more than €1,000. Also, you need to comply with the 25x rollover requirement. You can ask the casino’s live chat support staff for a free online casino bonus. Before you get this bonus, you have to earn 1,000 comp points by simply playing games. With enough points, you can receive a reward between €50 and €100. Take note that you can use this bonus as bets only on some games like blackjack, video poker, and roulette. Also, know that certain countries do not allow the making of withdrawals for this bonus. If you are an active member, know that the casino will reward your loyalty through its VIP program. Joining this program will grant you free points and exclusive promotions. There are different levels of VIPs from silver to black. The more points you collect, the higher your level will be. And a higher level means more VIP perks. From the moment you make your first deposit up to the time you become a VIP player, there is a bonus available for you. Remember, though, that if you want more incentives, you have to be an active member. The more you play, the more perks you can get. 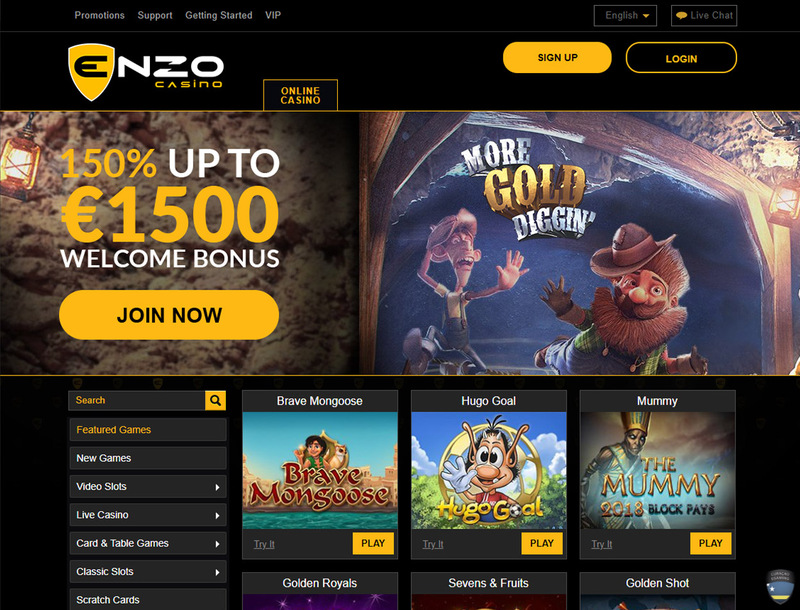 On EnzoCasino, you have over 400 games to choose from across different categories. 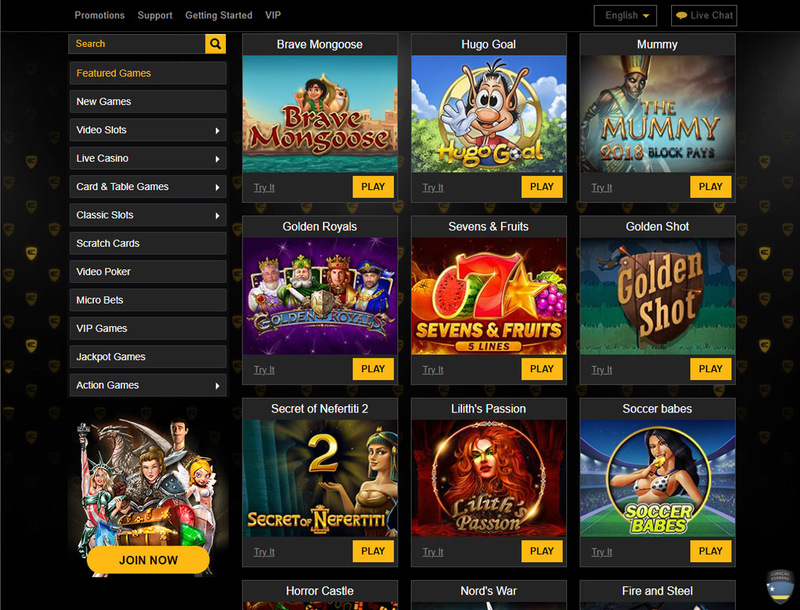 You will find games from Betsoft, Booongo, and Spinomenal. However, Net Entertainment games are not available to players in some countries. But do not worry as there are still a lot of popular titles on board you can play like Dolphin’s Luck 2, Space Battle, Mexico Wins, and many more. Classic card and table games like roulette, poker, and blackjack are also available onsite. Titles like Double Joker Poker, Deuces on the Rocks, and Caravan Poker are a must-try. But if you are into specialty games, you should play micro bets, scratch cards, and other exclusive VIP games. You have a lot of payment options to choose from. In fact, you can transact in different currencies, from USD to RUB. For faster transactions, you may consider using cryptocurrencies. Your deposit request will be processed within 24 hours. If not, you should contact the support staff. Sadly, you can withdraw only €100 per transaction and €5,000 every 30 days. Worse, this casino’s withdrawal process is slower than that in other casinos. When you pay through credit card, it takes up to 10 business days to process your cash-out. And if you choose bank transfer as your withdrawal option, you will have to wait for five business days before you can claim your funds. If you are in the US, Canada, or any of the other restricted countries, you will not be able to sign up with EnzoCasino. And if you are in a country that allows you to be a member of the betting site, you can place your wagers, but you are not sure if you can access all the games. NetEnt titles, which make some of the best Bitcoin slots, are playable only in some territories. If these issues do not bother you, playing in this gaming hub will still be satisfying. Besides, EnzoCasino presents features that are inviting. The game choices are of high quality, though the size of the game library is relatively smaller than that of other brands. The bonuses are generous enough to boost your bankroll. The fiat or crypto payment processes are secure despite the time you need to wait for the transactions to be complete. Most of all, the support staff is accommodating and friendly as per the feedback of most players. All these are enough proof that the casino cares much about the players.